All of the most valuable art has left the Berkshire Museum. It’s currently in the possession of Sotheby’s, and there’s a very good chance that none of it will ever return to the Berkshires, let alone the museum. I’ve written about what happened at The New Yorker: the lost masterpieces of Norman Rockwell country. My piece is deeply indebted to the first-rate reporting of the Berkshire Eagle, which has done an absolutely amazing job of staying on top of this story. I would strongly urge you to read Larry Parnass’s investigation, for instance, into what Van Shields got up to in South Carolina when he first let his ambitions get the better of him. Shields is the director of the Berkshire Museum, and he strung Parnass along for weeks, ultimately never granting a long-promised interview. That kind of arrogance is entirely in character, for Shields: the most telling part of this entire story, for me, was when the executive director of the Massachusetts Cultural Council, Anita Walker, told WBUR that she had been calling the museum every day, and that they had steadfastly refused to engage with her. The MCC not only represents the state of Massachusetts; it is also one of the museum’s biggest donors, having given some $1.2 million over the past 10 years. Shields won’t talk to them, and he won’t engage with the regional newspaper, and he won’t talk to me, and he generally shows no indication whatsoever that he feels in any way accountable to the community which his museum exists to serve. This story is very important at a national level. If the Berkshire Museum gets away with its current plan, then it will effectively end up creating a playbook for all other American nonprofits looking to get rich quick. Most would never dream of acting this way, but the dreadful precedent that the Berkshire Museum is setting will redound for decades to come. Donors will never again be able to sure that their wishes will be honored, not after seeing the way in which Norman Rockwell’s clear desire, that his paintings remain in the Berkshires for the benefit of the county as a whole, has been utterly ignored by the museum’s board. I can’t emphasize enough that this is a uniquely terrible deaccession plan, which effectively sells off all of the museum’s most valuable objects: no other museum that I know of has ever behaved in anywhere near as drastic a manner. On top of that, I can’t think of any other museum which has treated its local community with the utter contempt being displayed by Shields and his cronies. There is no conceivable justification for the museum sending all its most precious art to Sotheby’s before announcing that it was facing fiscal problems and might need to deaccession some works. Unless, of course, the point was not to serve the community as a whole, but rather just to ensure that Van Shields ends up getting the $50 million he has coveted since before he even arrived in the Berkshires. This kind of whiz-bang exhibition concept requires no curatorial vision, no acquisitions policy, and no real connection with the local community. All of which is just as well, seeing as how the museum doesn’t have a curator, doesn’t have an acquisitions policy, and is seemingly doing its best to burn as many bridges as it can with the local community. 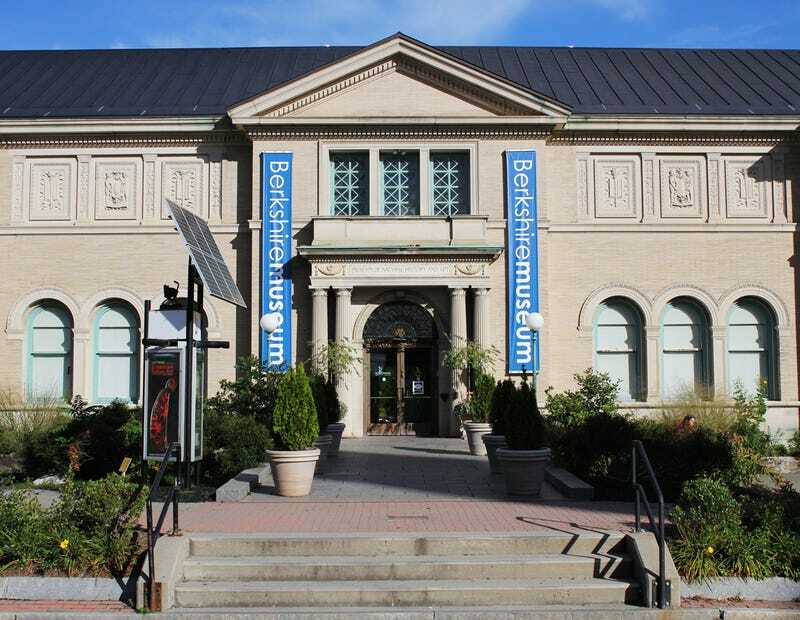 Everybody likes to be treated with honesty and respect, and there has been no evidence of either in the Berkshire Museum’s dealing with its neighbors. The consultation process, such as it was, is memorable mainly for the fact that the deaccession plan was never mentioned. That lie of omission allowed the museum to claim some modicum of public support for its plan, but also ensured that no one would trust them any more. After all, it’s deeply dishonest to ask people what they might want in an ideal world, while at the same time failing to mention that you have no ethical way to pay for such things. Two members have already resigned from the Berkshire Museum board: This decision was clearly not as unanimous as the museum had tried to project. So while it’s highly likely that the sale of the museum’s masterpieces is going to go ahead as planned, there’s still a small chance that it might not. So here’s a message to everybody who still remains on the board: It’s not too late. Stop this while you can. For the sake of the museum, for the sake of your community, and for the sake of all other museums, everywhere else in America.